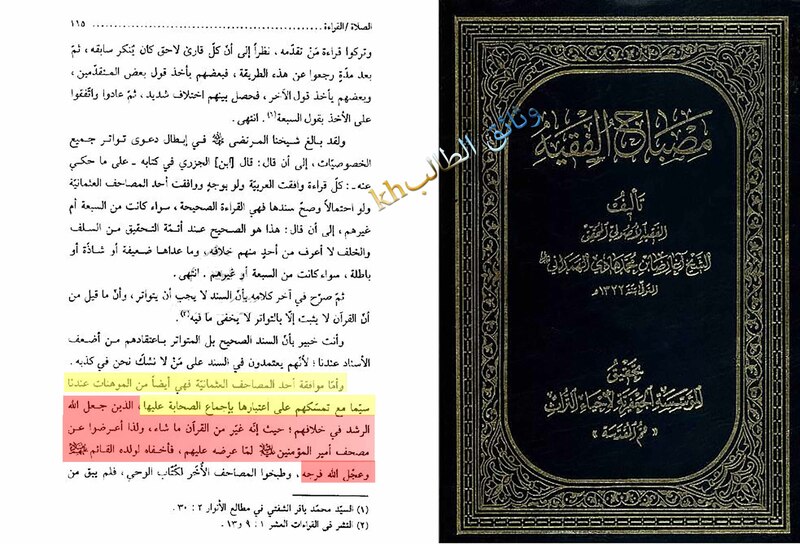 Shia scholar says that the Quran that was compiled by Uthman bin Affan (ra) which is the one have in our hands today was changed and corrupted but the Imams ordered the Shia to follow it out of taqqiyah etc. However, Shia do the opposite; they wash FROM the elbows to their hands. They start washing with elbows and then the hands. In order to justify their beliefs they even question the authenticity of the Quran. When the verses didn’t support their claims and beliefs they attributed narrations to Ahlulbayt that say these verses were originally revealed differently but when the enemies of Ahlulbayt compiled the Quran, they made changes to these verses. One example is their narration about the sixth verse of Surah Maida. They have attributed a narration to Jafar bin Muhammad who is free from their lies. The narration is present in al-Kafi. محمد بن الحسن وغيره، عن سهل بن زياد، عن علي بن الحكم، عن الهيثم ابن عروة التميمي قال سألت أبا عبد الله (عليه السلام) عن قول الله عز وجل: ” فاغسلوا وجوهكم وأيديكم إلى المرافق “ فقلت: هكذا ومسحت من ظهر كفي إلى المرفق، فقال: ليس هكذا تنزيلها إنما هي ” فاغسلوا وجوهكم وأيديكم من المرافق “ ، ثم أمر يده من مرفقه إلى أصابعه. Al-Kafi volume 3, page 28. Tahzib al-ahkam volume 1, page 57. Only someone who is ignorant of Arabic or a purposeful liar would claim al-Fayd al-Kashani believed in tahrif after reading his introduction. Here I assume he is talking about the famous introduction written by the Safavid scholar al-Kashani in which he discusses his opinion concerning this matter, the sixth introduction. This is an invitation from Farid to knowledgeable members of Shiachat (or any other Shia forum/site) for a debate about the authenticity and completeness of the Quran according to Shia and Sunni Madhabs. Debate format and other details will be provided once you accept the debate. Our challenge is for any Admin/Moderator or popular respectable member from the ShiaChat forums to come and debate us regarding the mentioned topic, registration will be easy and their stay here will be facilitated InshaAllah. We’re awaiting a response from the ShiaChat side, We urge them: Please do not post any nonsense and do not make any useless participation such as the one done by “Ibn al-Shahid” whose reply is of no use to anyone. We will post the simple logical rules for the debate once we get a serious response. و الانصاف أنّ القول بعدم النّقص فيه ممّا يمكن إنكاره بعد ملاحظة الأدلة و الأخبار التي قدّمناها ، فانّها قد بلغت حدّ التّواتر ، مضافا إلى أخبار ورود الامة على الحوض و قولهم بعد سؤال النّبيّ صلّى اللّه عليه و آله عنهم كيف خلّفتموني في الثقلين : أمّا الأكبر فحرقناه ( فبدلناه خ ل ) و أمّا الأصغر فقتلناه ، و هذه الأخبار أيضا متواترة ، و مع التّنزل عن بلوغها حدّ التواتر نقول : إنّه بانضمامها إلى الأخبار الاول لا محالة تكون متواترة مفيدة للعلم بثبوت النّقصان، إذ لو كان القرآن الموجود بأيدينا اليوم بعينه القرآن المنزل من السّماء من دون أن يكون فيه تحريف و نقصان ، فأىّ داع كان لهم على الطبخ و الاحراق الذي صار من أعظم المطاعن عليهم . فان قلت : إذا ثبت وقوع التّغيير في القرآن فكيف يجوز لنا قرائته ؟ بل اللازم قرائته على نحو ما انزل فيما اطلعنا عليه . قلت : إنّ الأئمة عليهم السلام رخّصونا على ما هو الموجود الآن و لم يأذنوا بقرائته على نحو ما انزل . فقال عليه السّلام : لا ، اقرءوا كما تعلّمتم فسيجيئكم من يعلّمكم . مه كفّ عن هذه القرائة و اقرء كما يقرء النّاس حتّى يقوم القائم عليه السّلام : فاذا قام قرء كتاب اللّه على حدّه و أخرج المصحف الذي كتبه عليّ عليه السّلام . فان قلت : سلّمنا وجود التّحريف فيه فلم لم يصحّحه أمير المؤمنين عليه السّلام حيثما جلس على سرير الخلافة مع أنّه لم يكن منه مانع يومئذ . للتشنيع على من سبقه كما لم يتمكن من إبطال صلاة الضحى ، و من إجراء متعتي الحجّ و النّساء ، و من عزل شريح عن القضاوة ، و معاوية عن الامارة ، و قد صرّح بذلك في رواية الاحتجاج السّابقة في مكالمته عليه السّلام مع الزّنديق . فيجيبوا أن يا ربّنا ما قصّرنا فيه و لا ضيّعناه و لا فرطنا ، بل هكذا وصل إلينا . فيظهر شناعه فعلهم و فضاحة عملهم لجميع أهل المحشر و يستحقّوا بذلك الخزى العظيم و العذاب الأليم مضافا إلى استحقاقهم للنّكال و العقاب بتفريطهم في أمر الرّسالة و تقصيرهم في غصب الخلافة . منها أنّه لو أظهر ذلك الكتاب مع بقاء هذا الكتاب المحرّف لوقع الاختلاف بين النّاس و يكون ذلك سببا لرجوع النّاس إلى كفرهم الأصلي و أعقابهم القهقرى . و منها أنّ شوكة النّفاق يومئذ كان أكثر فلو أظهروه لأحدث المنافقون فيه مثل ما أحدثه رئيسهم قبلهم . و منها أنّه مع إظهاره أيضا لا يكون له رواج ، لمكان شهرة ذلك المحرّف إلى غير هذه من الأسرار التي تستفاد من الأخبار . 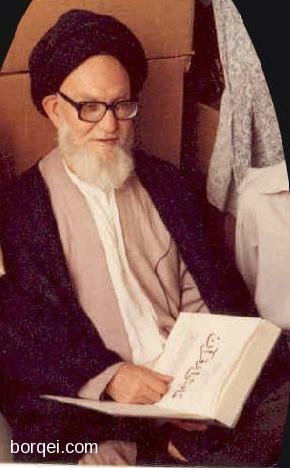 و كيف كان فقد ظهر و تحقّق ممّا ذكرنا كله أنّ حدوث التّحريف و النّقصان في القرآن ممّا لا غبار عليه . و أمّا الزّيادة ففيها تردّد و الأقوى العدم إذ الدّليل عليها ليس إلاّ عدّة روايات و هي لا تقاوم الاجماعات التي ادّعاها الشّيخ و الصّدوق و الطبرسي و المحقّق الكاظمي . To be fair, the denial of corruption in terms of deletion can be countered by the proofs and narrations that we stated earlier and they have reached the level of Tawatur, also by adding the narrations of when the nation will be brought to the fountain(Hawd) and they will say after the Prophet SAWS asks them on what they did with the two weighty things: “As for the bigger one we burned/changed it, as for the smaller one we killed them.” and these narrations are also Mutawatir, even if we were to say that doesn’t reach Tawatur yet by adding them to the previous narrations they become Mutawatir and they would clearly prove the deletion from the Quran. If the Quran in our hands today was the exact same as the one that was revealed from the sky without corruption or deletion, then I ask: for what purpose would they mess with it and burn it? by doing so this has become the biggest criticism against them. I say: “The reason why they (as) did not reveal it is based on many points. from them: If that book was revealed while this corrupt one was present, then there would be difference among the people and they may return to their previous state of Kufr. from them: the hypocrites were extremely dominant at the time so if they revealed it then the hypocrites would have changed it like their leaders before them did. from them: if it was revealed it wouldn’t spread much because of the popularity of the corrupted one, and there are many other reasons. And no matter what the case, it is apparent and proven from all we have stated that there is no dust on the fact that the Quran is corrupted in terms of deletion. 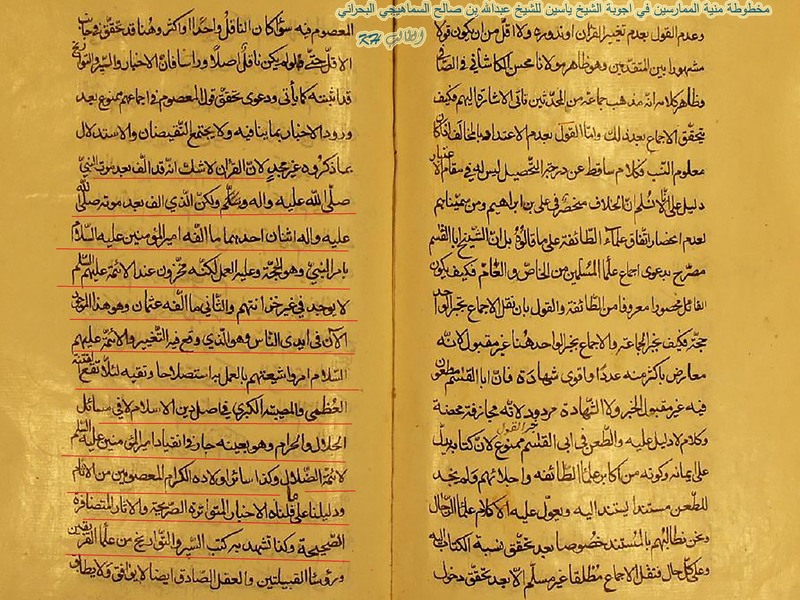 Source: Minhaj al-Bara’ah fi Sharh Nahjul Balagha “منهاج البراعة في شرح نهج البلاغة” by al-Mirza Habibullah al-Khoei, al-Wafaa Beirut Lebanon, volume 2, pages 216 to 220. [You (O reader) are well aware, that the “Sahih” or “Mutawatir” chain of recitation in their view (Ahlul-Sunnah), is from the weakest of chains in our view (Shia view) because their chains rely on men we do not doubt are liars.